The e-STUDIO 425s has it all — print, scan, copy and fax functionality in a compact design combined with highly sophisticated technology. Rely on the performance of the system and benefit from increased productivity. Impressive monochrome prints and copies as well as crystal-clear colour scans ensure the document output will meet even the highest quality expectations. And this, too, without any efforts. The e-STUDIO 425s is so intuitive to use via a colour touch screen, that you will find it easy to operate — right from the start. Protecting the environment is important to us. Therefore we make sure that our systems meet the strictest environmental standards to ensure a greener tomorrow. Built-in duplex printing and energy save modes help save natural resources and your money. 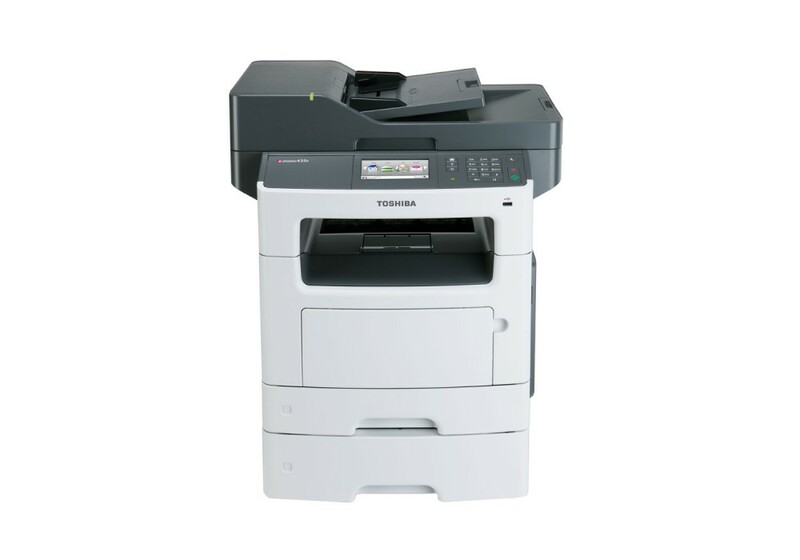 With the e-STUDIO 425s Toshiba presents a compact all-in-one monochrome A4 office system. The print speed of up to 42 pages per minute ensures the system offers impressive performance to enhance your productivity. Thanks to the impeccable output quality you have perfect documents whenever you print, scan, copy or fax. A built-in HDD enhances the performance even more and lets you run a wide range of applications directly on the system.